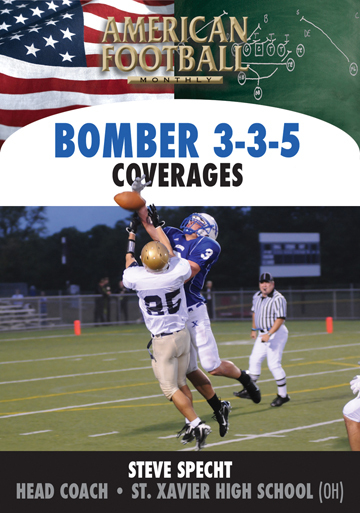 Steve Specht has compiled an 103-33 record with two state championships. 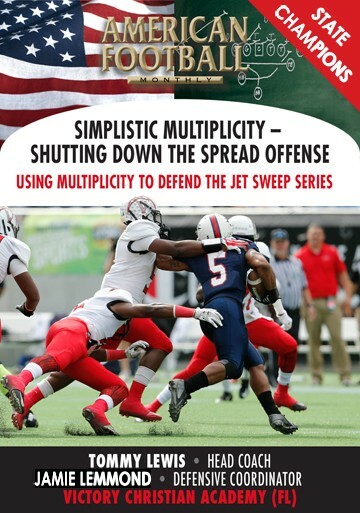 Known as a defensive specialist, Coach Specht employs his 3-3-5 as an odd stack front and coverage. 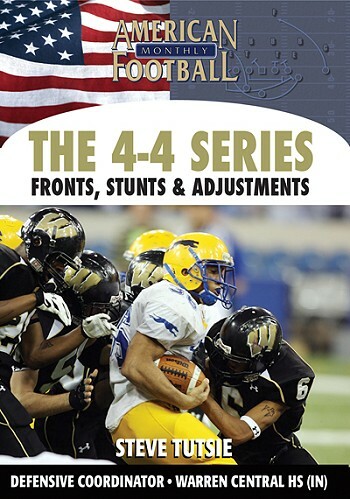 He has just completed a four-set series of DVDs now available at AFMvideos.com. 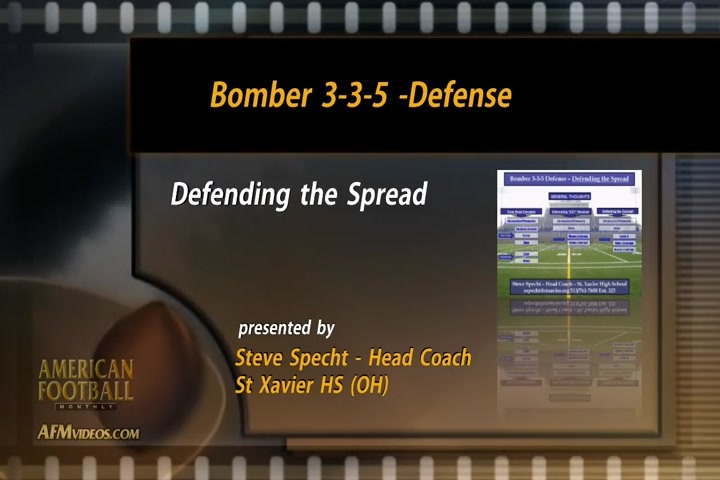 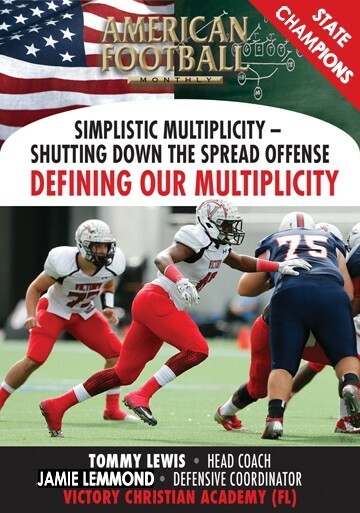 This fourth video details how Coach Specht defends the spread offense. 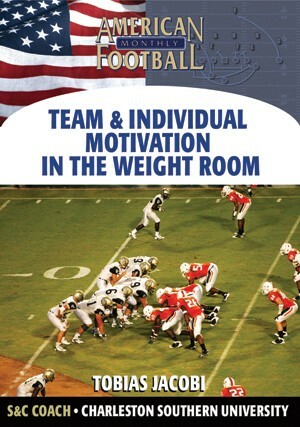 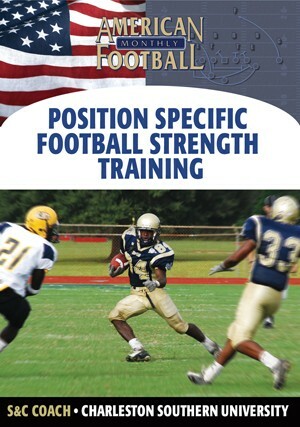 · Priorities based on the type of quarterback that you are facing. 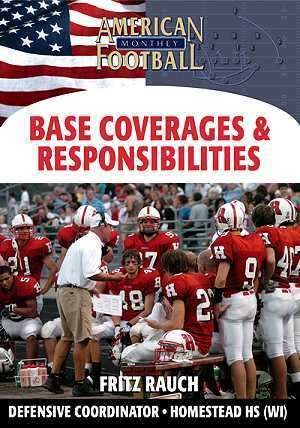 · Responsibilities if a wide receive requires double coverage. 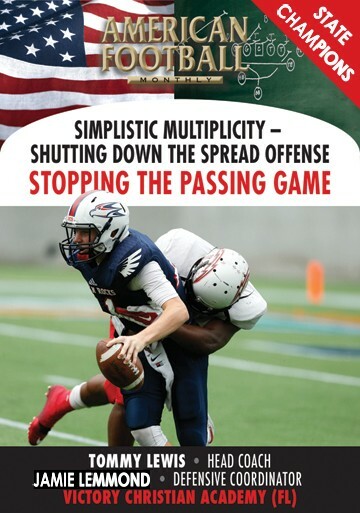 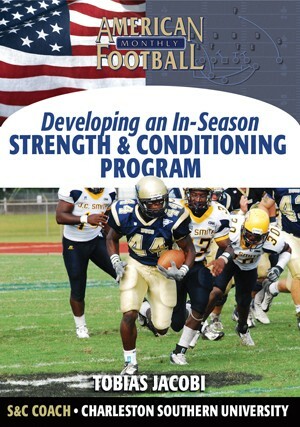 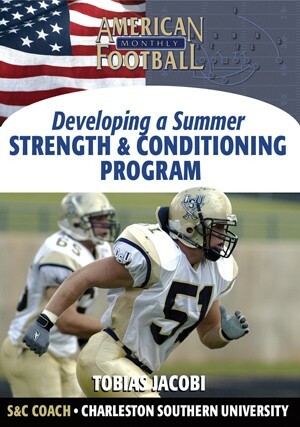 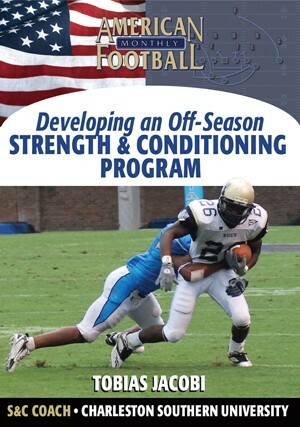 · What concepts to use if the passing game is focused on backside isolation or the front side concept. 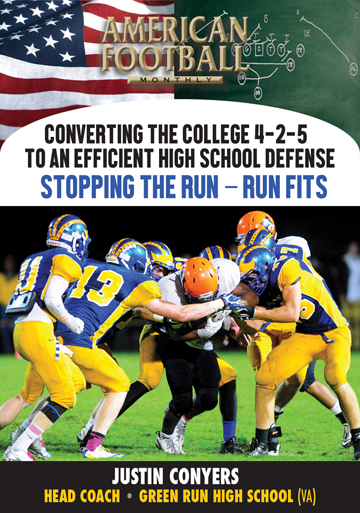 · How to defend a running quarterback. 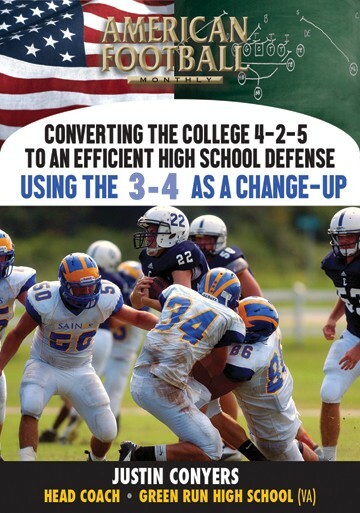 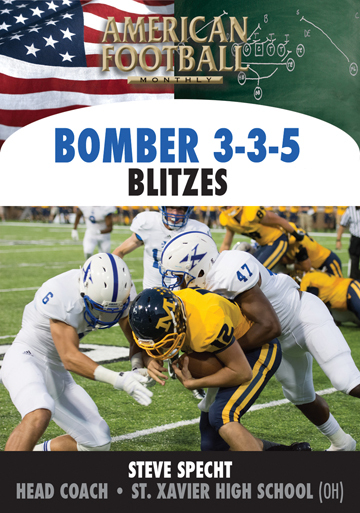 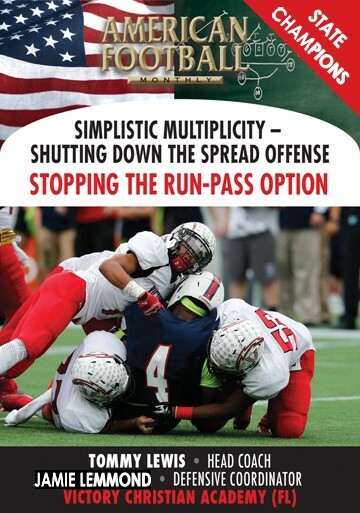 · How the offensive blocking scheme determines responsibility – both the linebacker and defensive end react accordingly to the offensive scheme. 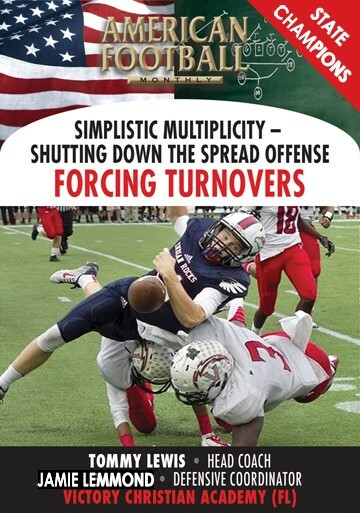 · Defensive stunts which predetermine responsibilities. 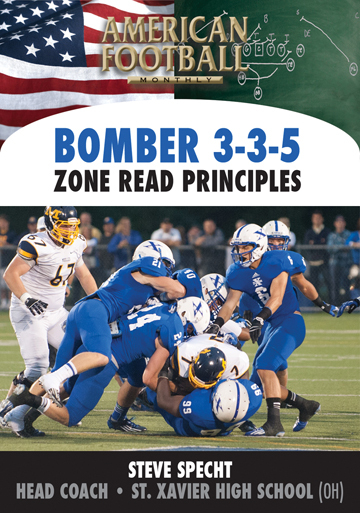 · Predetermined ‘edge’ and ‘nasty’ stunts. 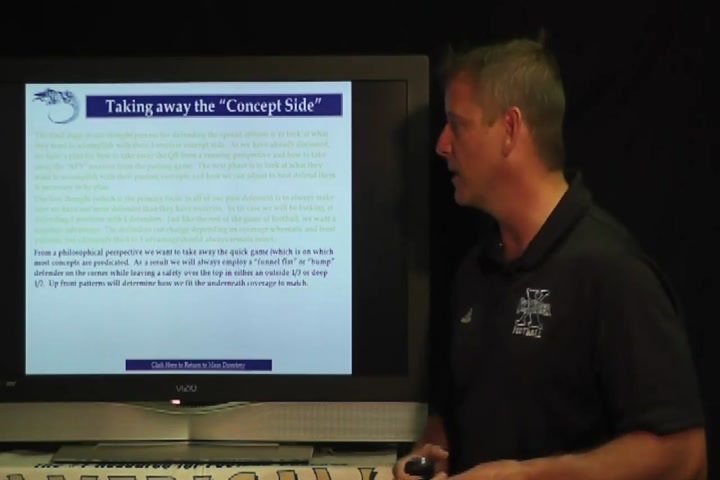 · An additional safety in the box provides a bonus defender and the defensive call predetermines responsibility. 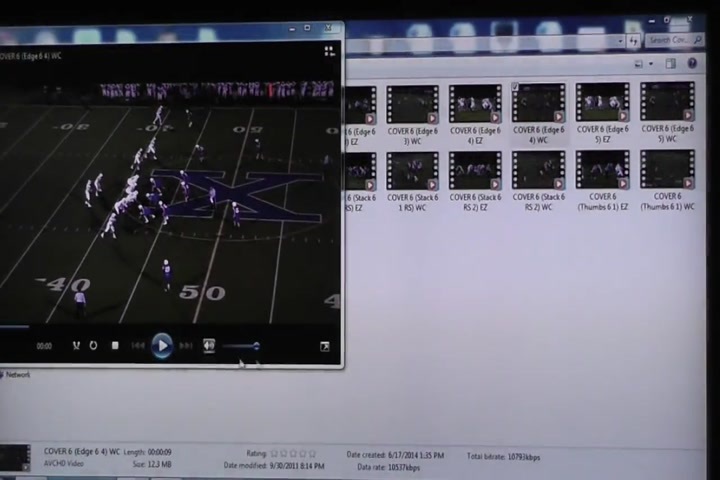 · The predetermined ‘flash’ stunt. 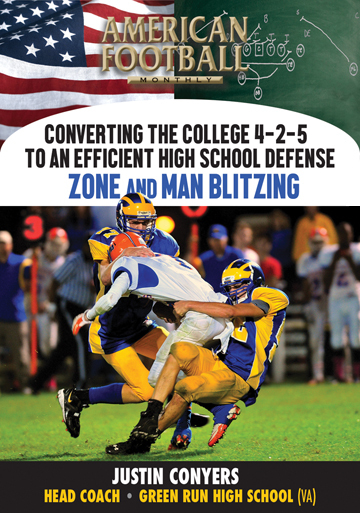 · How to defend the ‘key’ receiver. 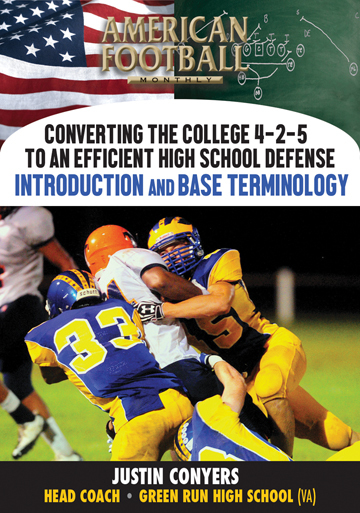 · How to identify and then eliminate the ‘key’ receiver. 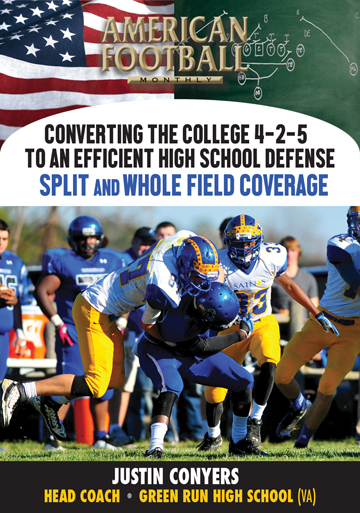 · Specific types of coverage in identifying the ‘key’ receiver – ‘mouse’ and ‘snake’ coverage. 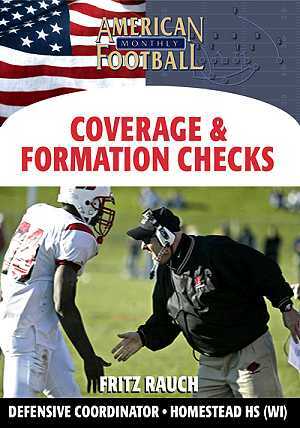 · To use various coverages – ‘cover 6’ with a 4 man pattern, ‘silver coverge’ with a 5 man pattern, and ‘bronze coverage’ with a 5 man pattern. 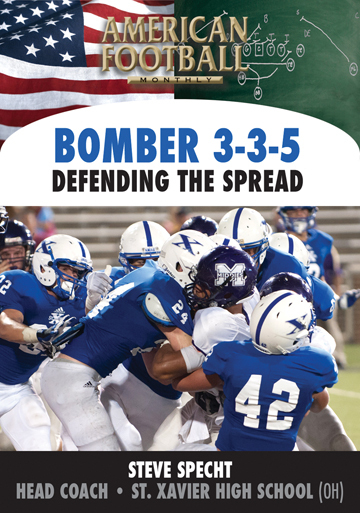 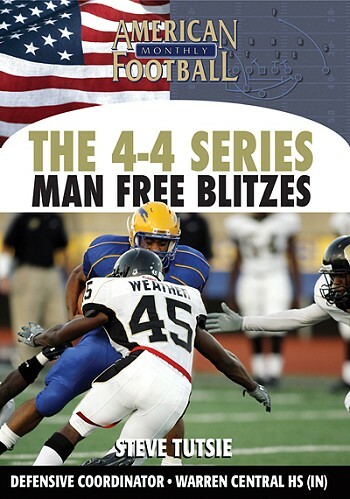 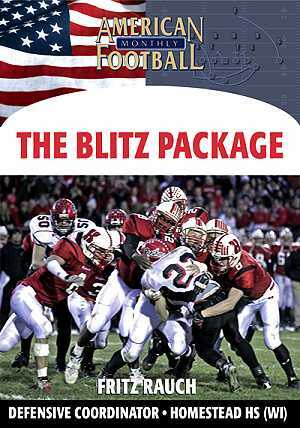 This DVD includes actual game footage to illustrate defending the spread.